Grizzledprofessional writers lucky enough to labor under an institutional umbrella mayblanch at the title of the new Georges Perec book, The Art of Asking Your Boss for A Raise. Onecan almost hear David Brooks exclaim “A raise, now?! In this economicclimate?” while to a younger generation of pajama-clad perpetualfreelancers, the words boss and raise may simply not compute. But Perec hasproven that working against dishearteningly steep odds can inspire a bravuraperformance. After all, who would’ve thought that an entire novel could bewritten without the letter “e”, as Perec famously did in his playful1969 work of fiction A Void (La Disparition)? And that it wouldactually be good? Such adroit hubris will serve well any Oliver Twist-likescribe audacious enough to ask his boss for more, sir. 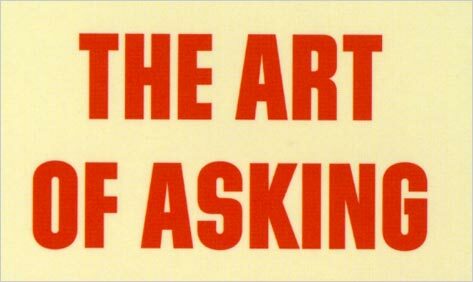 The Art (thefull title, smartly shortened by the publisher on the book’s cover, is The Art and Craft of Approaching Your Headof Department to Submit a Request for a Raise) came about through a happyaccident of history that seems preordained—or at least too good to be true—inhindsight. As translator David Bellos recounts in his introduction, in the late1960s Jacques Perriaud of Paris’s Computing Service of the Humanities ResearchCenter endeavored “to challenge a writer to use a computer’s basic mode ofoperation as a writing device,” and Perec, then an obscure author andarchivist, landed the assignment. The piece and accompanying flowchart werepublished in a journal devoted to “programmed learning,” which hardlyanyone read, and The Art became astage and radio play before it was eventually reworked into a chapter of Perec’smasterwork, Life: A User’s Manual (La Vie mode d’emploi) in 1978. [W]e advise you that in order to cope with the boredom thatyour monotonous pacing could easily prompt you should go have a chinwag withyour colleague ms wye provided of course not only that ms wye is at her desk ifshe is not you would not have much of a choice save to circumperambulate the variousdepartments which taken together constitute the whole or part of theorganisation of which you are an employee unless of course you wereto go back to your own desk to wait for more auspicious times. But whilethe book is certainly uneventful, it is far from unreadable—if anything its witand comedy encourage compulsive consumption. It’s probably better suited totoday’s audience than to a reader perusing it when it was written four decadesago, because it dovetails with the monotone meanderings of thepresent moment’s information surfeit. Reading The Art is like spending an hour or two on the Internet. Intrepid employees bent on bettering their salaries, beware:your boss, too, may have read this volume and learned from Perec. The Art is written in a singleexhalation (it appears to be one seventy-seven-page-long sentence). Thenarration runneth over, and the prose’s mechanistic cadences often sound likethe desperate bluster of a blowhard intent on buying time. Recent U.S. historyhas taught us that the easiest way to refuse a reasonable proposition is tofilibuster: simply spout data ad nasueum until your adversary tires,circumperambulates away, and waits for more auspicious times. David O’Neill is an assistant editor at Bookforum.